This is a really strange story, one that still doesn’t appear to have an ending. I first presented this post in 2013. A long-ago childhood nightmare rose up unbidden from my subconscious recently to cause a few sleepless nights. 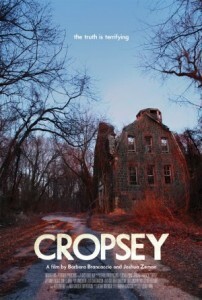 That nightmare had a name: Cropsey. My memories of this time are a bit disjointed, but here goes. In the late 1950s I joined a Boy Scout troop that held its meetings at the junior high school that I attended in The Bronx. The troop went on a weekend campout somewhere in either upstate New York or New Jersey. This was the first time I’d ever been away from home on my own, certainly the first time I’d ever gone camping. Deep in the woods, we sat around a campfire on the first night and listened to a counselor tell a chilling story about someone that he called Jack Cropsey. Seems that years earlier, at some other camp, a bunch of kids played a nasty prank on this guy, apparently a caretaker or handyman. The prank went wrong, leaving Cropsey disfigured. In his monstrous form he subsequently began killing kids at camps up and down the Hudson River Valley. The story ended, of course, with a warning that Cropsey was still out there, and if you weren’t careful…he may be coming for you! I didn’t sleep at all that weekend. It’s fortunate I didn’t pee the sleeping bag. Perhaps that’s why, to this day, I absolutely hate camping. Shortly after this memory came back to me, I typed “Cropsey” into a search engine. (Wasn’t even sure how to spell it.) Guess what, Cropsey has scared the crap out of gazillions of kids for a long time, and he continues to do the same to this day. I found plenty of literature about the legend of the “Cropsey Maniac,” and he—or at least his name—even appears in some films. Articles published in Voices: The Journal of New York Folklore, detail a number of variations of the Cropsey legend. One states that he was a man who lived with his family by a lake, that some kids from a nearby camp started a fire that killed one of his children, and that soon after he sought retribution with an axe. Another says that a guy in upstate New York went bonkers, killed his whole family with an axe and then turned his attention to campers. One more story claims that Cropsey is a spirit, the ghost of a boy who died by hanging at a camp and was buried under his bunk. 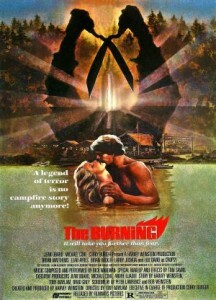 But whatever the story told around the campfire, one thing is consistent: stay out of the surrounding woods, and remain vigilant, or Cropsey will kill you. One thing that jumped out at me while researching Cropsey was a movie by that very name. Released in 2009, this documentary puts a name and a face on an urban legend, a real-life monster named Andre Rand, who haunted New York City’s “forgotten” borough, Staten Island. Filmmakers Barbara Brancaccio and Joshua Zeman had grown up on Staten Island and as kids had often heard their neighborhood’s version of the Cropsey legend. 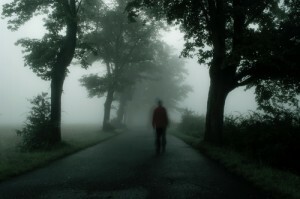 For them, Cropsey was an escaped mental patient who lived on or under the decaying grounds of the Willowbrook State School, a mental institution that, amid great controversy, had been shut down in the early 1980s. A decade earlier a young, aspiring investigative reporter named Geraldo Rivera had entered Willowbrook and filmed the deplorable conditions there. The movie gives viewers a few glimpses of the old footage; what I saw on the film sickened me. Brancaccio and Zeman’s nightmares became even more real in 1987 when the body of a twelve-year-old girl with Down syndrome was dug up on the grounds of Willowbrook. A manhunt led to Andre Rand, a mentally impaired transient who had once worked at Willowbrook and for years had camped on the grounds or in the tunnels below the facility. This opened a can of worms that linked Rand to a number of child disappearances dating back to the early 1970s. If you’re an aficionado of horror movies you likely noticed similarities between a few of your old teen slasher favorites and some of the variations on the Cropsey legend that I mentioned earlier. I mean, some camp kids play a prank that accidently kills someone’s kid, and the parent comes back to start killing campers? That has Friday the 13th written all over it. The story opens with a bunch of camp kids playing a nasty prank on a mean caretaker named “Cropsy” (no “e”), who is set aflame and plunges down a slope into a river. He is saved and taken to a hospital, but a million surgeries can’t repair his face, which looks—well, major gross. Flash forward five years, when Cropsy is released from the hospital and heads to—guess where?—a summer camp chock full of teenagers, most of them typically obnoxious and horny. After a night around the campfire, where a legend of Crops[e]y is told, a bunch of the teens row canoes up to an isolated part of the forest to commune with nature—and screw like bunnies. Need I tell you what happens next? Utilizing a pair of garden shears as his decapitation/disembowelment weapon of choice, Cropsy carves his way to a considerably high body count before meeting a fiery end—or not. Had the film made any money, we doubtless would have seen this Cropsy in a slew of sequels. The closing scene has a new group of obnoxious teens sitting around a campfire and listening to yet another Crops[e]y legend. The story may be a bit different, but the warning remains the same: watch out, stay away from the forest, or Cropsey may get YOU.